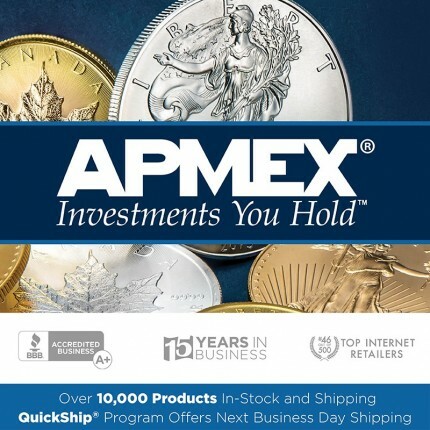 HAVE BOUGHT EXTENSIVLY OVER THE LAST YEAR FROM APMEX. SOME VERY HIGH TICKET ITEMS (1995 W PROOF SILVER EAGLE). HAVE NEVER HAD A BAD EXPERIENCE. AM SURPRISED YOUR REVIEWS ARE NOT MUCH BETTER.